Anyone who’s been to Korea or has watched any K-drama would know how much the Koreans love their barbecue. While I was in Korea, we had barbecue at least 5 times in 11 days, and man, that is A LOT of barbecue. When we first arrived in Seoul, we stayed in Gangnam-gu, and so I’d planned out an entire list of food places to go in Gangnam a week ahead. No. 813 BBQ Restaurant had been on Lady Iron Chef’s list of 17 Best Restaurants and Local Eateries to Eat in Seoul, and so was assigned as dinner stop for day 1. Contrary to what was said online, it wasn’t all that hard to find, especially since No.813 has 2 units next door to each other – the larger one being to the right of the original one, with a slightly more modern (and less authentic) feel to it and also twice the size of the other. 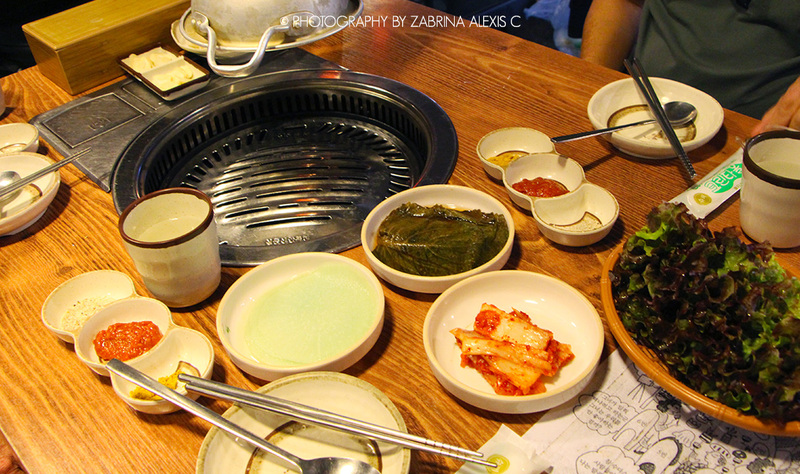 Since it was already the late afternoon, we ambled around Gangnam for a bit until 5pm when they re-opened for dinner. It’s decent barbecue, but that’s all there is to it. This was the first barbecue we tried in Korea, and while the cuts of meat I thought were pretty average (and some of the meat was practically served just out of the freezer and had to be left defrosting at the table), we thought that all in all it offered good value… until we tried barbecue at like 4 other places, including one more in Seoul. The kimchi stew here paled miserably to the one we had at Heukdonga on Jeju-do, and the side dishes were very average and limited (as compared to every other place we dined at while in Korea). Service was terrible; although we were only one of the two groups of guests, we had to wave several times just to get the attention of wait staff who were too busy chatting with each other over the counter just 3m away, and had to request multiple times for another serving of kimchi stew and kimchi which never arrived.